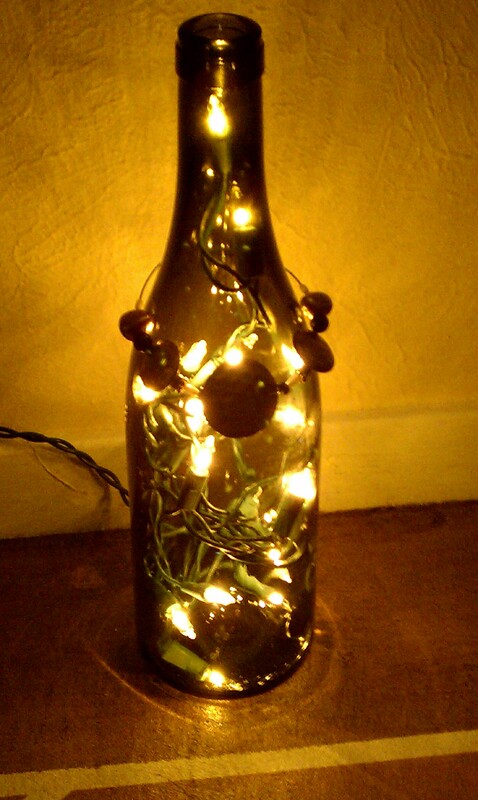 Wine bottle lights are a gift that can be given any time of year really. Especially if you want to give yourself the gift of drinking a few bottles of wine so that you have some nice looking bottles to start with. I saw this idea in a number of places and can’t even really point to a source. 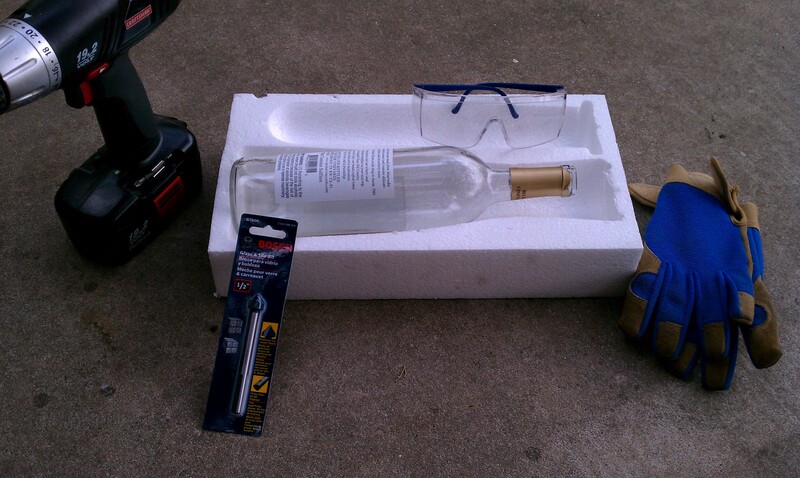 Wear safety glasses and gloves while drilling through the bottles. None of mine broke during drilling, but make sure to be safe. Use the label to start the hole. 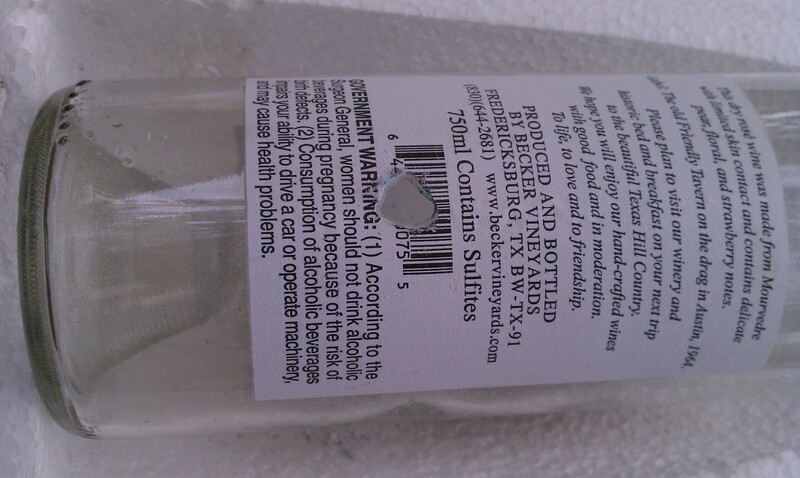 If the bottle doesn’t have a label, put a piece of masking tape on the bottle. Start drilling. The whole process takes 20 – 30 minutes. I would start and stop quite often because my hand got tired. 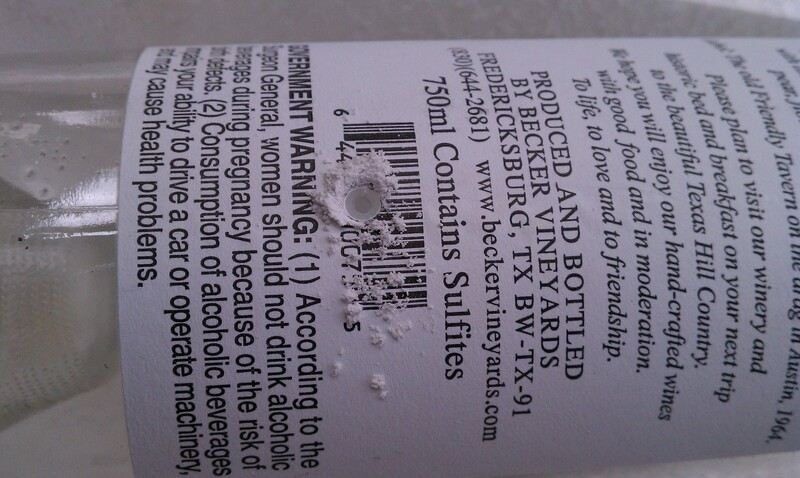 Soak the bottle in hot water with a bit of oxyclean until the label is easy to get off. A razor blade will help. I also used a brillo pad to take off the glue. After that was done, I used a bottle brush to clean out the glass dust left in the bottle. I’d like to think I’ll make a whole army of these to decorate my yard, perhaps under the bottle tree but we’ll see how that goes. 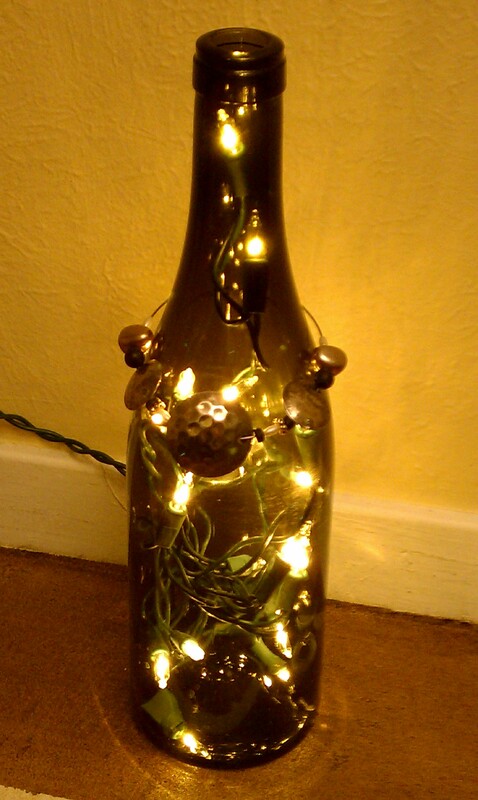 For now though, the bottles have been a hit with the recipients! Someone sells these here every year at a local craft show. I love them!